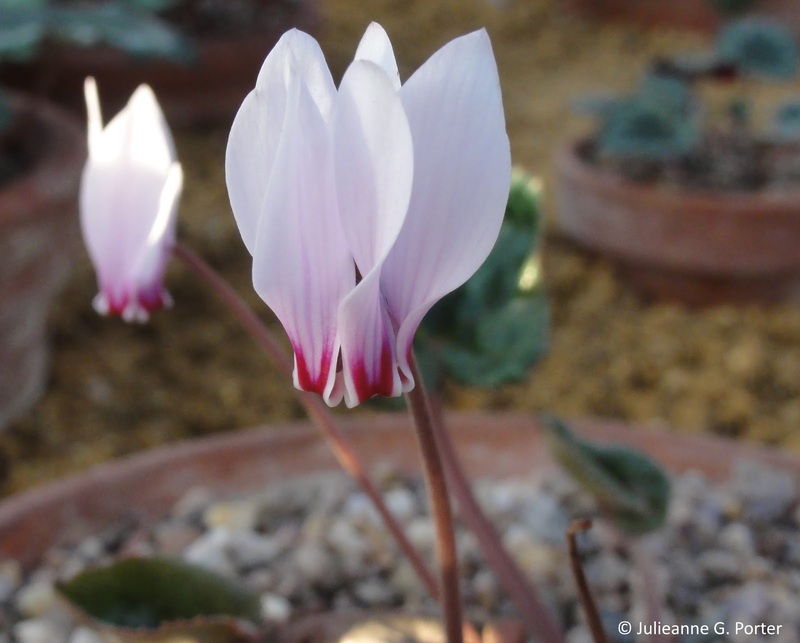 Following on from my last post on some of the autumn colours at Cambridge Botanic Garden, are some alpines from the Alpine House. 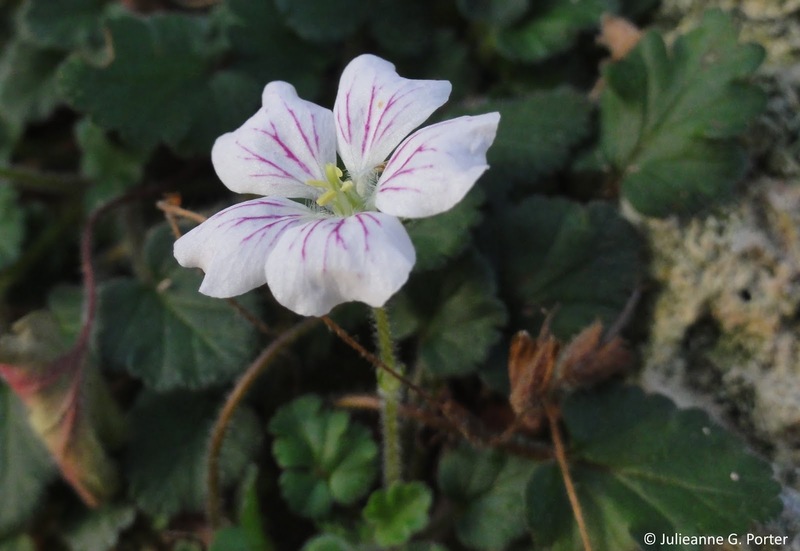 I think there is a tendency to think of alpines as more late Spring-early Summer flowering plants, but of course alpines can flower throughout the year. It was a treat to be able to view some of the later-flowering beauties. 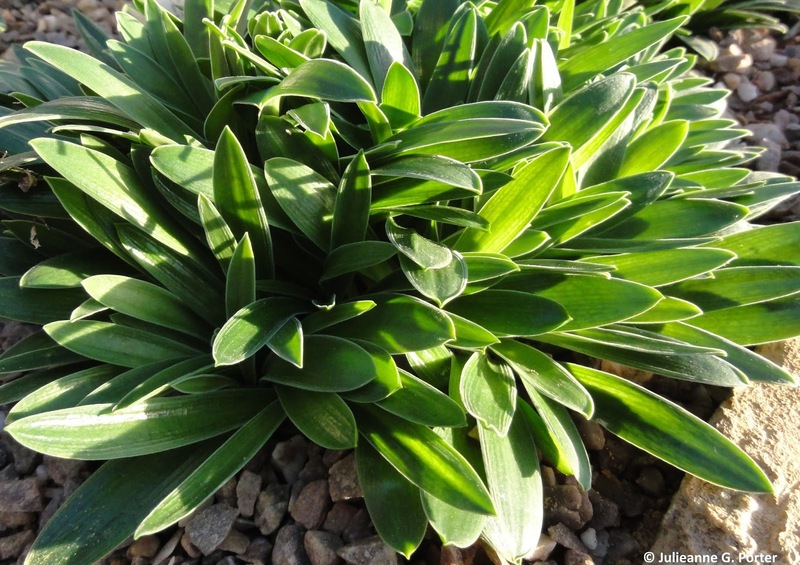 Scilla kurdistanica: I love the leaves with the silver edge, how pretty they look with the afternoon sun catching them. The foliage makes it a worthy addition in it's own right. 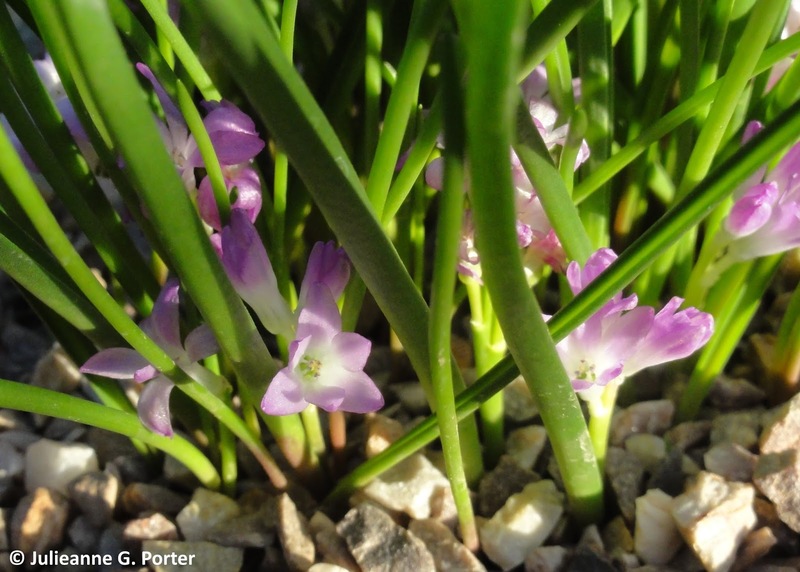 Polyxena pauciflora: you have to go searching, but the diminutive flowers are there. 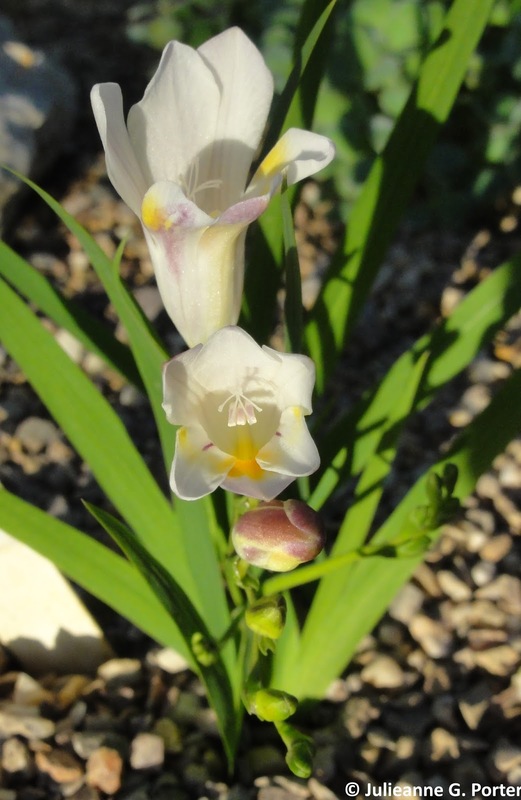 Freesia elimensis: there is so much I need to learn about alpines. 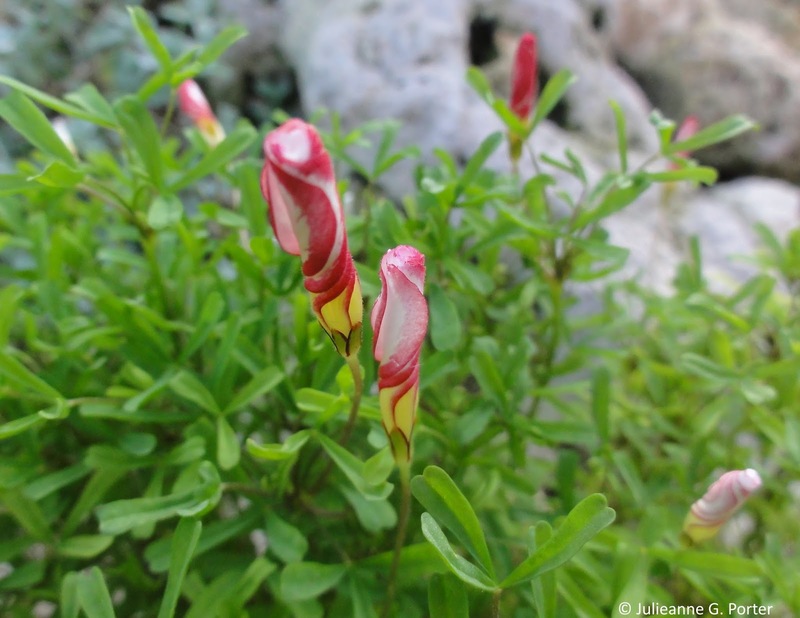 This time I learnt there was an alpine Freesia. Oxalis palmifrons: I did a double-take as at first I didn't believe it was an Oxalis as I'm so used to the more clover-like leaves. 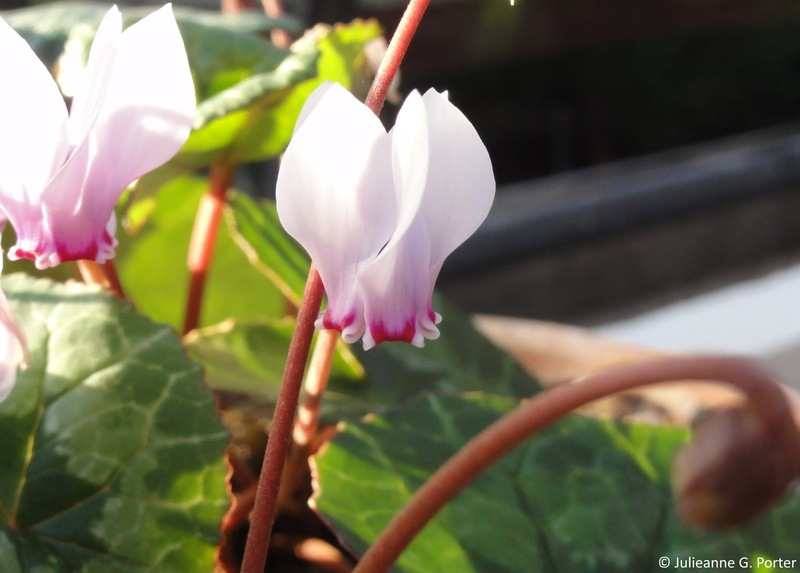 This is another plant who's foliage alone would make it worth having. It's 'furry' leaves reminded me of Pulsatilla. 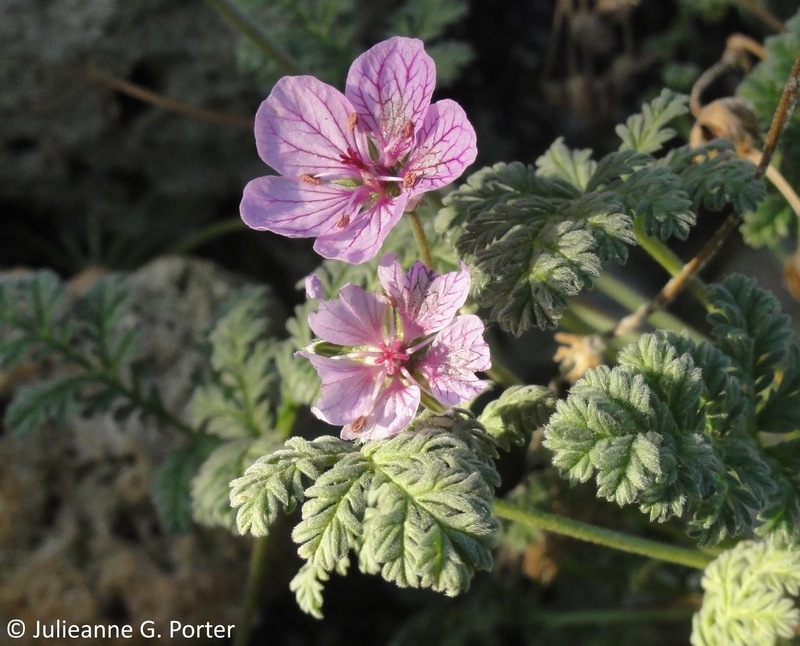 Erodium frans delight: delicate flowers and pretty foliage, I really must obtain some Erodium's for my alpine wall. 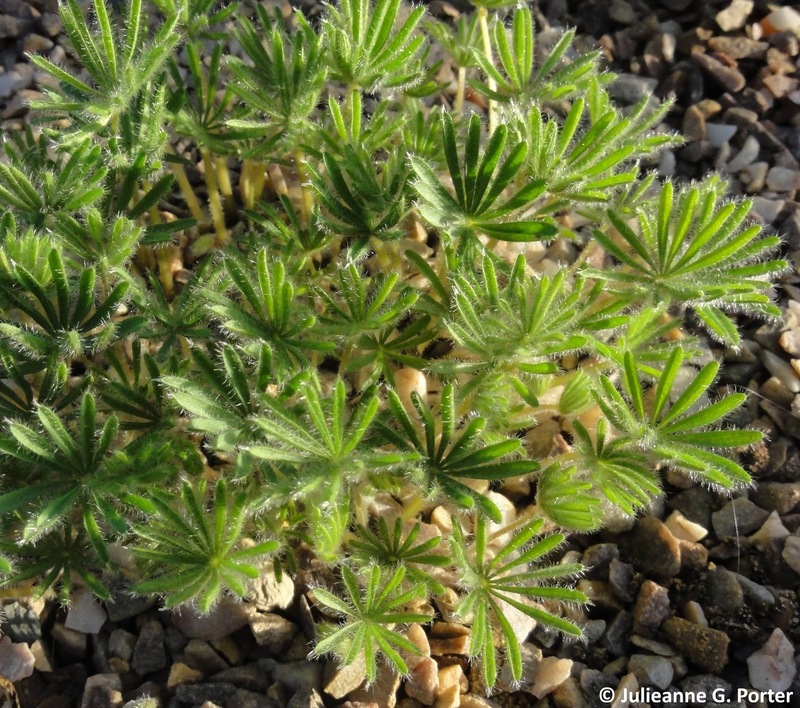 Erodium x variabile album: quite different foliage from the above. The purple markings are delightful. 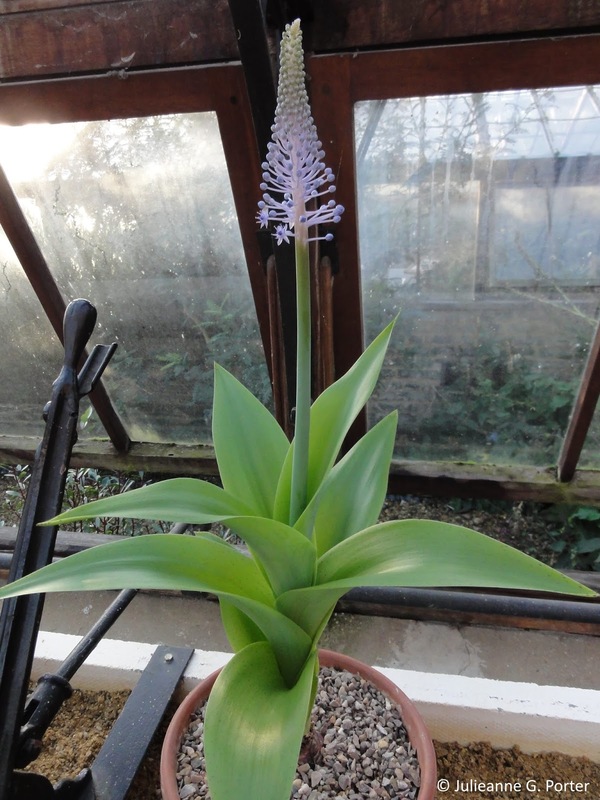 Scilla maderensis: this one was going for star baker flower. That's some scilla. Oxalis versicolor: another oxalis who's leaves made me realise I had to rethink what I expected an oxalis to look like. The flowers look like lollipops. Alpines may be small, but as this small selection shows, they punch above their weight in beauty. 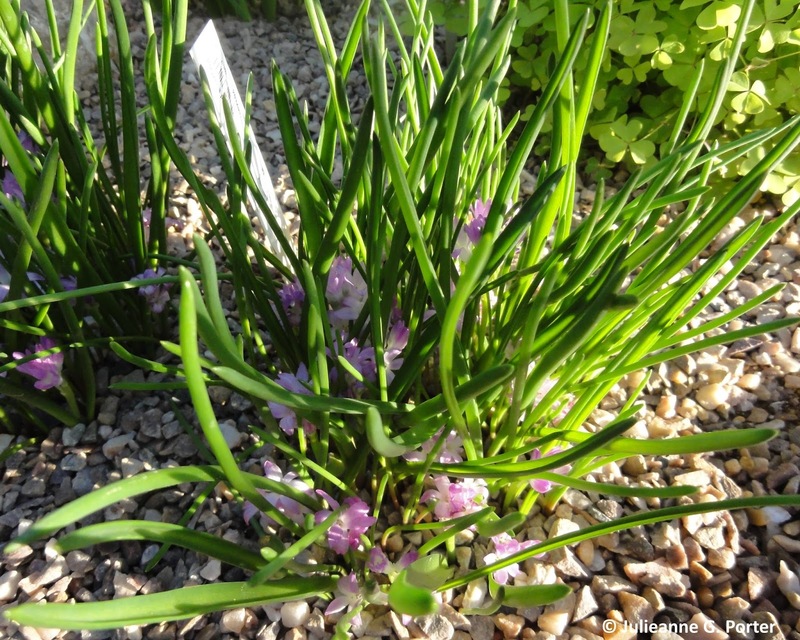 And the Alpine House at Cambridge Botanic Garden has some real treats; go and see for yourselves. Good things come in small packages. Love that lollipop Oxalis. 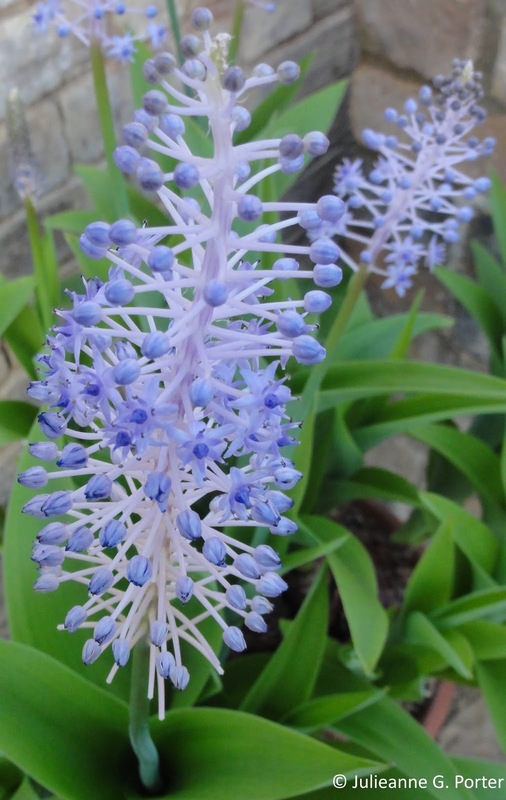 Scilla maderensis id gorgeous, what a super flower! 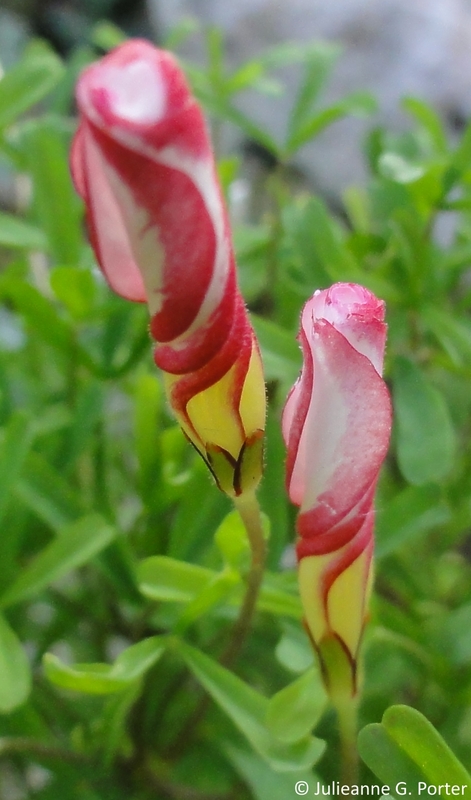 The Oxalis is also great fun with those swirls like a stick of rock. You must have had a wonderful day. Some extraordinary flowers there, love the Oxalis versicolor, its mad!